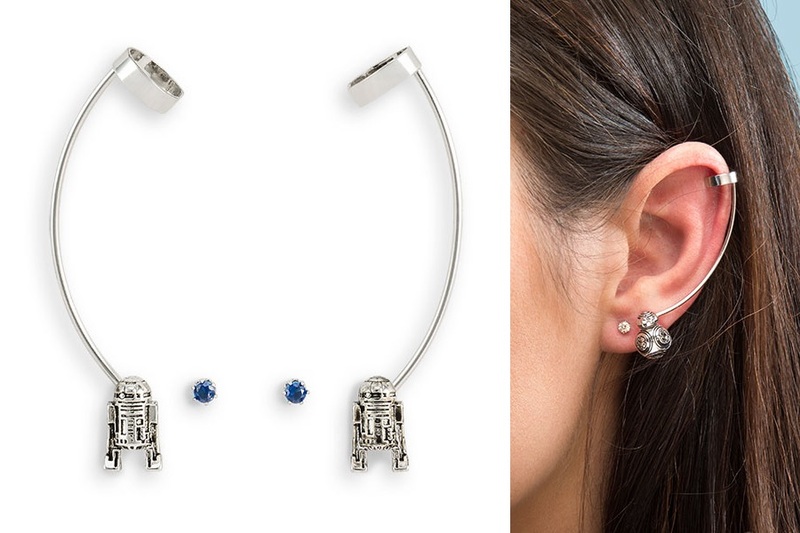 These new Star Wars earring cuff sets are now available at ThinkGeek. 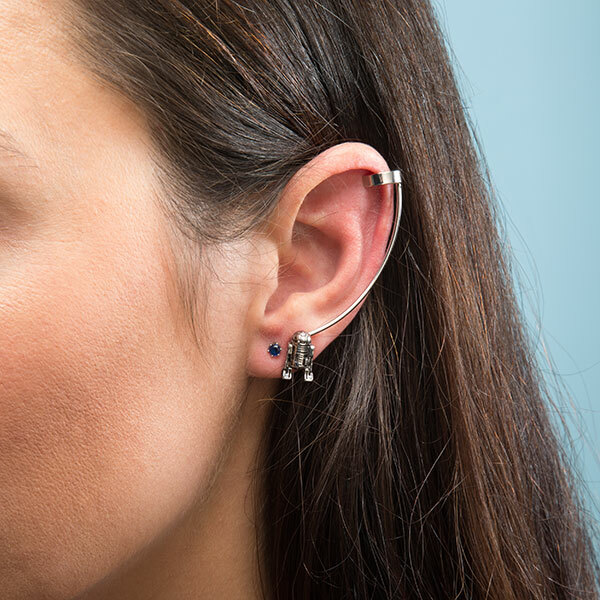 Each set includes 2 pairs of earrings – a silver-toned ear cuff of either R2-D2 or BB-8, and a pair of crystal stud earrings in a matching colour (blue for R2-D2, orange for BB-8). 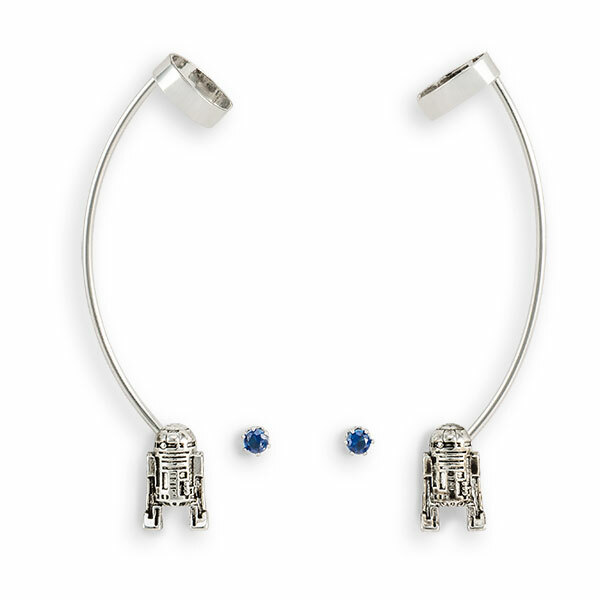 These are such great jewelry sets- the sculpted droid figures on the earrings actually spin! 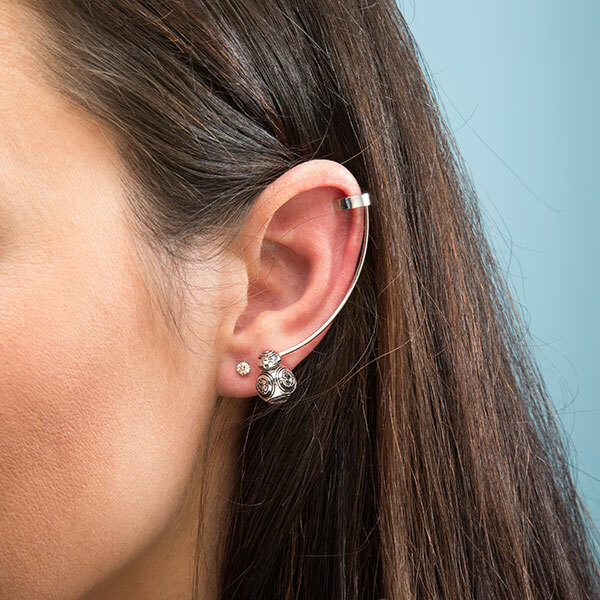 The Star Wars BB-8 Cuff and Crystal Stud Earrings Set includes an orange crystal stud (after BB-8’s distinctive color) and an ear cuff that features a free-spinning stainless-steel BB-8 at the opposite end. It’s almost like BB-8 is trying to stay close to us, and throwing out a cable! Aaaawwww……! The earring sets are priced at US$19.99 per set – ThinkGeek can ship internationally, which is great!